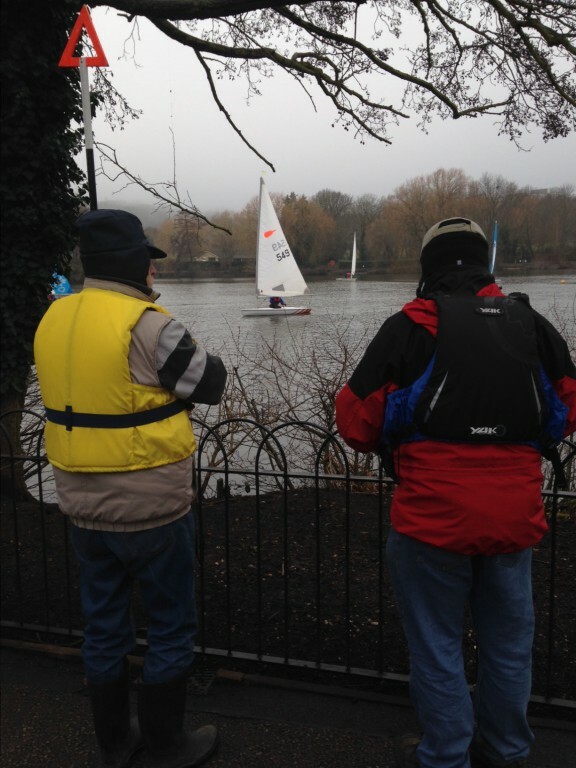 Everything that Croydon Sailing Club (CSC) does is only possible thanks to the generosity of members kind enough to give up their time to make it happen: whether it’s Sunday racing, Wednesday practice, responding to enquiries or running training courses, it’s only possible thanks to unpaid volunteers. It’s also thanks to these volunteers that we’re able to keep the cost of membership so low. That’s why, as Sailing Secretary, I thought I’d spend a few moments talking about the importance of assistant duty officers or ADOs and why you should feel good about giving up 2-4 Sunday mornings a year to help run race sessions. Why do you need a DO and an ADO? Without duty officers there would be no sailing. At a basic level, two heads are better than one when it comes to preparing the jetty, setting the course and keeping track of the race, and it’s definitely easier to write down finish times when you have someone else to ring the bell and let you know when dinghies cross the line. But more importantly, if someone gets into difficulty it’s always good to know that there’s an ADO on hand to make sure they’re OK and take the appropriate action while the DO keeps an eye on the rest of the fleet. Without an ADO, the race would have to be abandoned. But I only come down on Wednesdays, why should I help on a Sunday? The volunteers that give up their time to make Wednesday evenings possible are the same members that come down on a Sunday morning to race. So, think of being an ADO as a way to say thank you to all of those other members who open up the boat park, help you get rigged, man the safety boat, maintain the club dinghies you sail and all the other things so many of us take for granted. Don’t panic! Always let us know, and wherever possible use the race calendar and contact list you received at the start of the season to arrange a swap. This entry was posted in Free Sailing, Membership, Race Calendar.